I have always refused to go through the Rapiscan machines at the airport so I “opted out” of the full body x-ray scan, choosing instead to be patted down. At first it was very unpleasant for me. I’d get nervous and sweaty, my heart would be pounding and my hands were shaky. This is a classic adrenal “fright” response. It took me a good 15 to 30 minutes to settle down after this experience. This was during a time in my life that I didn’t like to be touched by anyone I didn’t know. Body boundaries had been an issue for me and the pat-down procedure usually triggered a whole host of stress-response, as described above. The most deleterious part of the stress response is the big burst of adrenaline and cortisol that would course through my body. Cortisol is known as the “stress hormone”. It serves to help our bodies fight, flee, or freeze. These are important survival mechanisms when being chased by a tiger or facing a true threat. But when we’re experiencing a non-threatening situation, like a pat-down, cortisol ends up aging our bodies and wearing down our immune system. I found out too at my HeartMath training classes, that cortisol stays in the body for 12 hours. So it has a long-lasting and long term effect on decreasing our overall health when it’s constantly getting pumped into our system in inappropriate responses. Here is my E-A-S-E or “Laughing it up with the TSA technique” that I use at airports and in many other situations where people around me are stressed and tense. E – Ease up; A – Accept people without judgment; S- Smile inside and out; E – Engage with people from the heart. 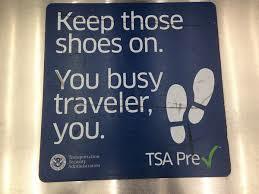 First, I remind myself that TSA agents are just like the rest of us. They are good, hard-working people doing a their jobs. I chose to accept them and their role without judgment. Then, I set my intention to be in charge! Meaning I decide how I am going to act at the airport instead of getting caught up in a “mirror neuron” crowd reaction. 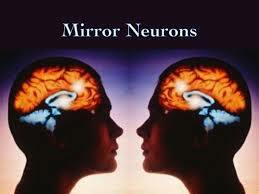 Dr. Bruce Lipton described what scientists now know about mirror neurons when I interviewed him for last September’s telesummit. So now, instead of getting caught up in the mirror neuron group stress response, I decide while traveling to the airport, that I’m going to have fun and make a few people laugh. Next, upon arrival, I begin using the HeartMath technique called Inner Ease. I activate heart-centered breathing which is a simple practice of imagining I am breathing through my heart. I remember to purposefully slow down my breath and focus on my heart. I now know that my heart is the most powerful organ in my body in terms of the signal that it broadcasts around me, and so I consciously choose to broadcast a feeling of ease. Ease is simply a state where things flow and you respond easily and peacefully to whatever happens. It’s a very simple feeling to generate. All you have to do is remember a time when everything was flowing and focus on that sensation. I have a number of experiences to tap into when generating a feeling of ease: walking on the beach, playing catch with my kids, and interacting with an audience member who just saw the film and feels a sense of new direction. If people around me are emitting the specific energy of stress and chaos, I just keep going to the feeling of ease and I even say internally, “ease, ease, ease” as I breath in and out. The third part of my strategy is to imagine I am generating an “inner smile”. What I mean is this: I focus on the upper part of my chest, just above my heart and I imagine I am smiling from there. It’s an interesting sensation because it permeates my whole body and I find that people around me will start talking to me. I don’t even have to say a word! I refer to this as my “Mona Lisa” smile. 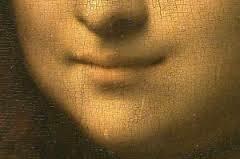 In the painting, she looks like she knows something special. Maybe she knows how she impacts people just by her presence! When I approach the TSA agents with my license and boarding pass, I keep the ease feeling and inner smile going, and I make a small remark, such as “I’m really excited to be flying today.” Or “How’s it going?” More times than not, they look up and we make direct eye contact and then they smile. I know that I am engaging with them at a heart-level, connecting to the ease sensation. I ended up completely changing my “pat-down” experience and putting the agents at ease. And more importantly, I no longer have the stress response to the experience. Now, I have TSA pre-check clearance, so I don’t get patted down anymore. But I still focus on a no-stress airport experience and on making an agent’s day be a bit brighter. I always tell the TSA agents that I feel like I’ve won the lottery when I breeze through security without even having to take my shoes off. They love this one! We end up laughing, and I go my merry way, through the friendly skies, knowing I’ve made their day just as bit brighter. Here’s how I put it together in a nutshell: E – Ease up; A – Accept people without judgment; S- Smile inside and out; E – Engage with people from the heart. Very simple, very powerful and very satisfying to know we can truly be change agents to people we meet, even if for a moment of time. I love this article. This is just perfect timing for me to read, because next week I will be flying to the US (for the first time!) and I am practising this technique right now, to be well prepared for a magnificent and magical EASE experience at the airport. 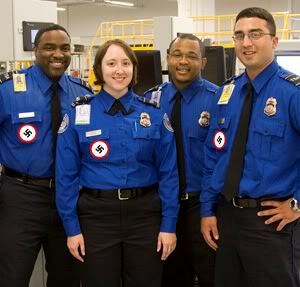 I also love the idea of adding value to the TSA agents, by making their day a “better feeling experience”….wow. Thank you so mucht for this blog post.